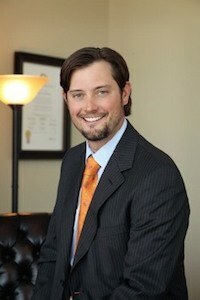 Troy Burleson is a founding partner of The Law Offices of Biederman & Burleson, P.L.L.C. and is a 2005 graduate of Southern Methodist University’s Dedman School of Law. In 2016, Mr. Burleson was recognized for his outstanding achievements as a trial lawyer by Texas Monthly magazine that named him a Texas Super Lawyer. This prestigious award is given to less than 5% of lawyers who practice in the State of Texas. In addition to being named a Texas Super Lawyers, Mr. Burleson has received the following awards and recognitions during his legal career. Most comfortable in front of a jury in a courtroom, attorney Troy Burleson believes deeply in the adversarial system of justice and passionately defends his clients’ interests. Mr. Burleson has earned a well-deserved reputation in the legal community as one of the top DWI.DUI trial lawyers in Texas having appeared in over 400 trials while amassing an impressive record of “Not Guilty” verdicts. In addition to his work as a trial attorney, Mr. Burleson lectures across the State of Texas on winning strategies for DWI/DUI defense. While in law school attorney Burleson was a member of the law review, a board member on the board of advocates and an accomplished national mock trial and moot court competitor representing SMU in national competitions in Washington D.C., San Diego and San Antonio. In these competitions, attorney Burleson was recognized for his outstanding legal skills by twice placing in the top five of overall competitors and once winning the national championship for best individual advocate. The advocacy skills attorney Burleson learned in law school have served him well as a true trial attorney representing his clients in courts of law. Since the beginning of 2006, Troy Burleson has successfully tried over 400 trials to verdict amassing an impressive winning percentage. Attorney Burleson’s reputation as a skilled trial lawyer grows with every jury he picks, argument he makes and client he defends. Partner Troy Burleson represents clients charged with all types of crimes, felonies and misdemeanors, in the counties of Collin, Denton, Dallas, and Tarrant. If you have been charged with a criminal offense in Texas, call attorney Burleson at The Law Offices of Biederman & Burleson, P.L.L.C. for a free consultation.